Møller #77 is exclusive to Great Dane. In 1944, Niels Otto Møller began his cabinetry company where old craft traditions are still used today. Scandinavian cord seats known for their durability, easily withstand decades of frequent use. Made of tightly twisted paper the woven material is pleasant to sit on and its natural texture only gets better with age. The seat is woven by hand from one continuous 425-foot-long piece of cord. At the Møller factory machines are never used for the final polish and a proud tradition of "production without assembly lines" is very much alive today. 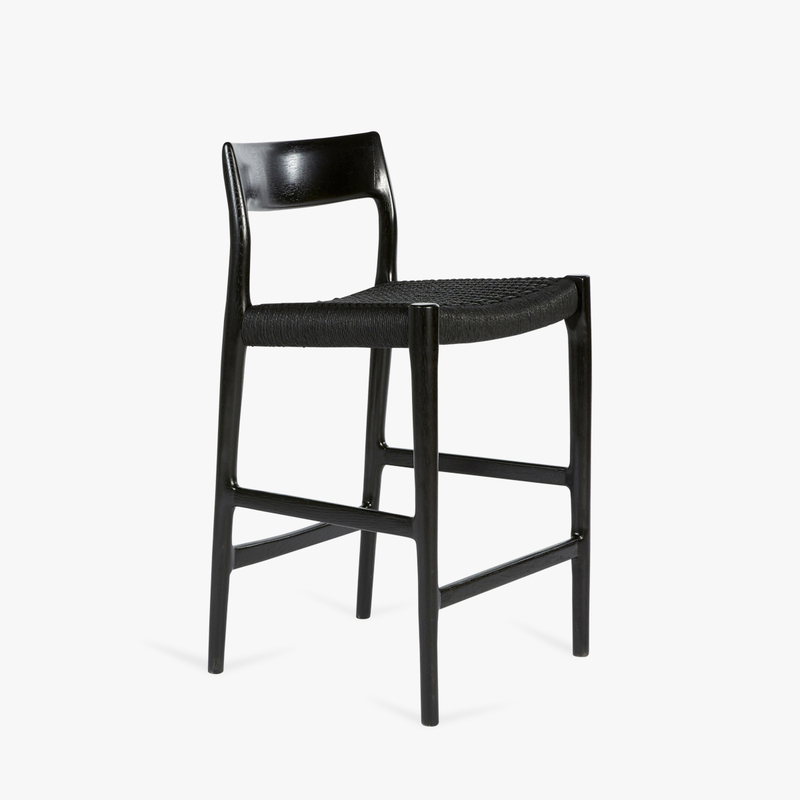 The Møller #77 Stool has recently been re-released and is a welcome addition to the range at Great Dane. Counter and bar stool heights available.